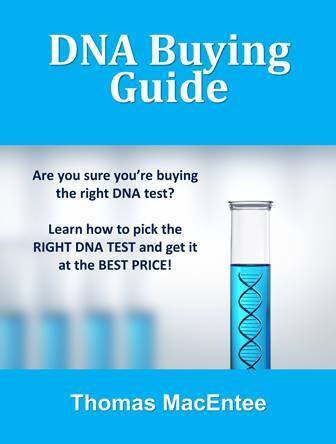 Are You In the Market for a New Genealogy Software Program? Get Heredis 2018 – Windows or Mac – for just $10 USD! 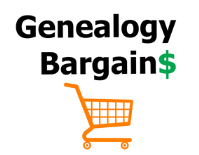 This is an AMAZING sale and many genealogists and family historians RAVE about Heredis and all the great features. 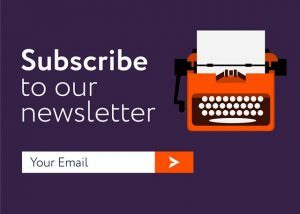 Why not check it out for yourself? Today through Sunday, November 25th, here is a MEGA deal available for Genealogy Bargains followers: get Heredis 2018 for just $10 USD! MAC users click HERE to save – regular price is $49.99 USD, now just $10 USD! – you save 80%! 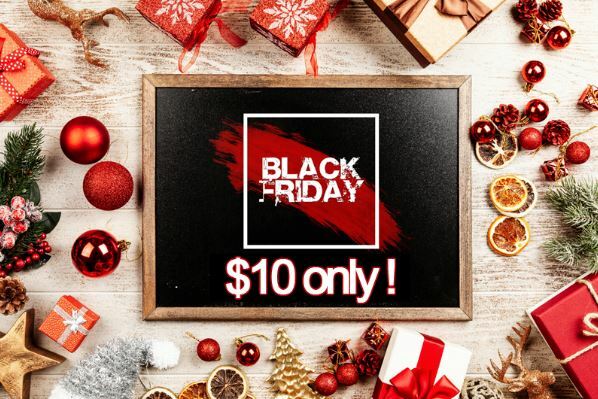 PC users click HERE to save – regular price is $29.99 USD, now just $10 USD! – you save 67%! 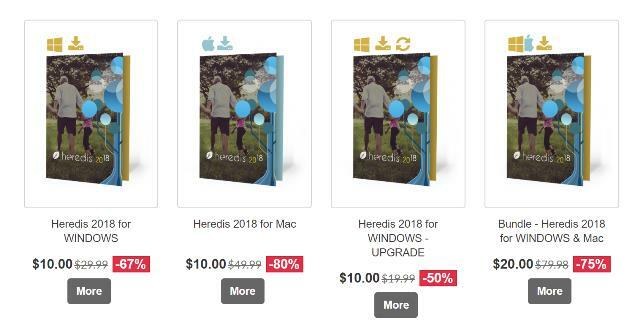 Heredis 2018 Windows Upgrade click HERE, regularly $19.99 USD, now just $10 USD! – you save 80%! Heredis 2018 for WINDOWS & Mac Bundle click HERE, regularly $79.98 USD, now just $20 USD! – you save 75%! Unlimited program: You can enter as many persons, photos, copies of documents as you want! Tons of features easy to use: From data entry—one of the Heredis strong points—to elegant family tree charts, Heredis helps improve your genealogy. Enter data for a family all at once: Using the Family Group Data tab and a single data entry window, you can enter date the primary person, their parents, their marriages, their children, and even their partners of their children! Heredis 2018 – A version adapted for American genealogists: Heredis 2018 is the fruit of several months of collaborative work with our North American users. In fact, we are routinely scheduling workshops where new ideas emerge and specific genealogical needs are voiced. 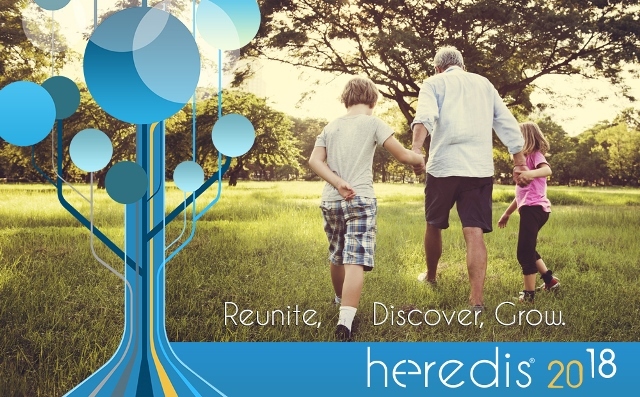 Heredis is universal: Whether you have a PC, a Mac, an iPad or iPhone, your genealogy is accessible and synched everywhere, at all times with everybody. Heredis for iOS and Android are FREE. GEDcom support: If you have created a file with another genealogy program, it is easy to transfer it to Heredis. Your file will be converted automatically and your data will be complete accessible. Heredis ranked #3 in the World among genealogy software programs: The TopTenReviews website ranks Heredis 2018 #3 among software programs for genealogy. This ranking is the result of a comparison made between 16 different genealogy software programs, using 40 different ranking and evaluation criteria, including ease of use, charting capabilities and quality, data management, GEDCOM import/export accuracy, automatic backup, location mapping, warnings for potentially incorrect information, hints, pricing and many others. XXL Family: A tree with the entire family! 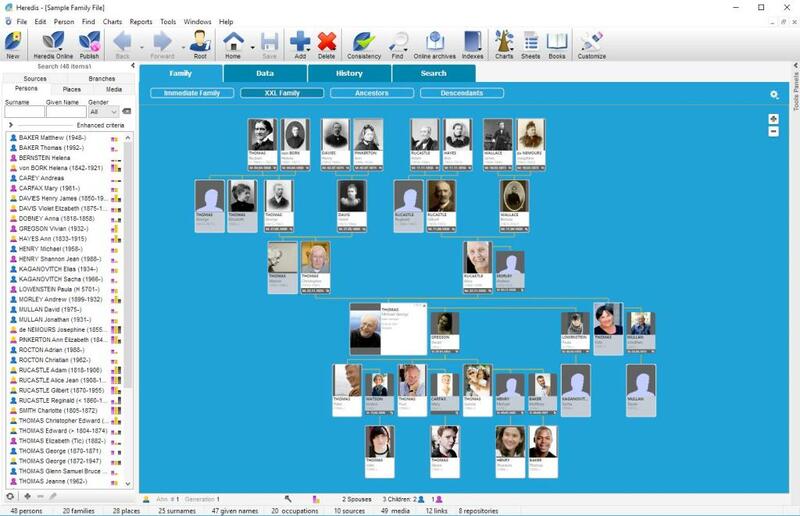 View and edit all your relatives and contemporaries in a fully redesigned family tree with 4 zoom levels. FamilySearch Certified: FamilySearch is the world’s largest online collection of genealogical data. It offers more than six billion person entries, which you can browse in Heredis – from the comfort of your home and free of charge. New Widgets: Age Gaps (between spouses or between siblings, e.g. between the first and last born; Ancestors Origins (distribution by country, state/province, county, period of appearance); and Search Tracking (started x years ago, progression of ancestors and persons count by time period, last added and last modified persons). Improved Software Management: Heredis now allows you to manage three levels of sources: repositories, sources, and source citations. New functionalities to specify the type of evidence and to manage your repositories more accurately. Slideshow Export: From now on, you can export your slideshow to a USB key and display your ancestors’ photos on several computers or on your TV – if equipped with an internet navigator. Additional Improvements: Many improvements to make your life easier: facts, person sources, multiple selections in the sources and repositories indexes, simultaneous search on multiple websites, a completed Smart Search, cleanup tools for the sources index . . Here is a brief video on the new Heredis 2018. If you are looking to change your family tree software, this may be the right time! Don’t Delay – Heredis 2018 Black Friday Sale* Ends Sunday, November 25th! Use the links below to learn more about Heredis 2018 and to purchase your copy for an amazing low price of $10 USD! * NOTE: Sale valid through Sunday, November 25th, 2018.